As seen in the January 2019 issue of Mix magazine – Luca Pretolesi, one of the most talented producers/engineers in all of dance music, has created quite a space for himself at Studio DMI (Study of Digital Music Innovation) in Las Vegas. Its where his collaborations begin with the likes of Diplo/Major Lazer, DVBBS, Borgeous, Garteh Emery, Jason Derulo, Flo Rida, Nicki Minaj, Snoop Dogg, 2 Chainz and David Guetta, to name just a few. The analog/digital hybrid studio has been treated with GIK Acoustics 244 GBass Traps, Monster Bass Traps with Scatter Plates, QRD Diffusors and Soffit Bass Traps and is centered around a Maselec MTC-1 mastering console anchored-literally and figuratively-by a Torus Power AVR Isolation transformer. 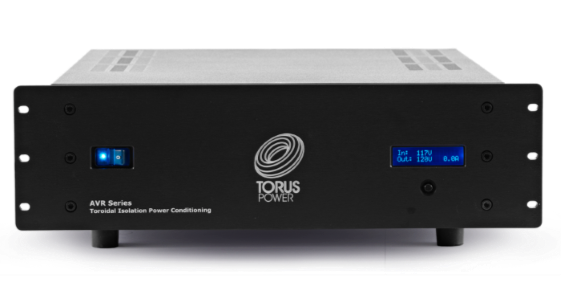 Pro Audio LA recommended the Torus Power AVR (Automatic Voltage Regulation) specifically for protection against voltage sags, brownouts, and surges-all too familiar in Vegas-and for delivering a steady, consistent stream of clean power. “Part of my job is mixing, but it’s also to be able do so with the same sound, the same result, which I can only do by using exactly the same gear,” he explains. “We do about 200 to 300 songs a year, so we need to have a system that is recallable. Having stable power allows me to have the same transient response and same (low) noise floor. When I recall a big mix, I don’t want to have a sound that fluctuates several times. Again, a linear response from the power is very, very important.